Though preaching the benefits of buying local on a site dedicated to small food artisans seems a touch heavy handed, for coffee it is worth repeating that local beans are almost always the freshest beans. And fresh beans are the only way to ensure a great cup. When I shop at a store that has a larger selection, say Whole Foods, the first thing I do is find bags roasted within two weeks (max one month, if that’s all they have). Only after that do I consider roast, flavor profile, etc. That’s because I’d much prefer to drink my coffee fresh – even if it is a type that doesn’t suit my palate as well – than to sip my favorite type stale. If there’s no roasted-on date on the bag, I won’t even consider it. But here’s my issue. There’s no local coffee roaster in my neighborhood. Within 15 minutes, there are 3-4 decent options, but none of them are along, or even a small detour off of my regular, daily route. So, just for good beans, I have been making 30 minute round-trip treks on a bi-weekly basis. Has this hassle been worth it for better kine than the burnt, stale dregs from my local ‘Bucks? Of course. But it was also starting to wear on me. If I could stock up in bulk, I would have gladly do so, but as I am obviously borderline obsessed with java freshness, that clearly is not an option. At my wit’s end, I began to look for an online solution. Someone who would deliver fresh whole beans regularly, with little to no upkeep on my end. I of course first looked for something local (Philly area), but sadly could not find a service that met my needs (bi-weekly delivery, ability to choose a variety, reasonable shipping costs). Though I originally felt guilty about not supporting the community, my time and sanity pushed me to look for alternative options. 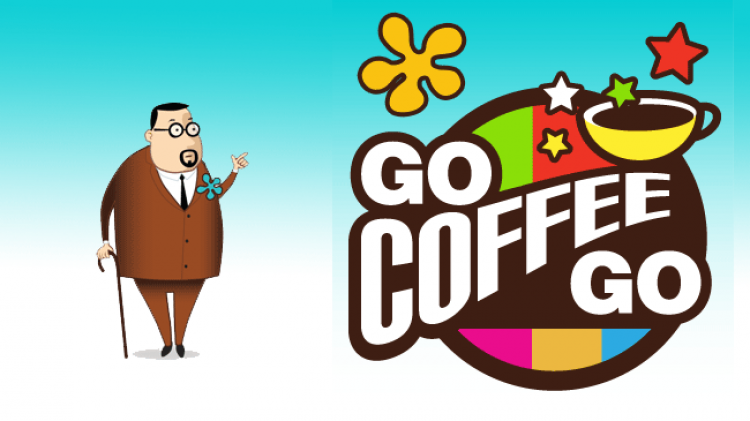 And that’s when I found GoCoffeeGo. Though I am loathe to use such a cliche, in this case it helps describe the service: GCG’s AutoShip is the Netflix of coffee. Though you can order a la carte, AutoShip is my jam. GCG is a collaborative of sorts, featuring (currently) 15 small roasters from around the country, all of whom offer a variety of different coffee options. For AutoShip, I pick the coffees I like, add them to my queue, pair them together in shipments, select a shipment frequency, and off we go. Every two weeks, it automatically ships the coffees listed at the top of my queue. Shipping is $4.95 for USPS Priority Mail, flat rate per shipment (and they often have free shipping specials, for those paying attention). I love the ability to try different roasters, roasts, and styles, even the ability to browse seasonal offerings on the site. Even more than that, I love the fact that I don’t have to remember to re-order coffee (other than keeping my my queue stocked), and that fresh, high-quality beans just show up at my door, right on schedule. Though there is certainly room for improvement, the site is generally easy to use – although the auto-ship controls take a little getting used to, and don’t get me started about the music. Prices are comparable for the quality – ranging from $12-20+ per 12oz bag, plus shipping. The one time I accidentally ordered two shipments in the same weeks, the GCG folks were able to cancel my order and credit my account, which I appreciated. All in all, although I still feel somewhat guilty when I walk by a local roaster at the farmer’s market, each morning when I sip my freshly-brewed espresso provided by GoCoffeeGo, I’m more than happy.